In recent months, interest in traditional Chinese culture has surged among Chinese millennials. It’s a trend that has impacted their daily lifestyles, creative expression, and consumption behavior. With no memories of the anti-intellectual Cultural Revolution, Chinese Millennials have a voracious appetite for knowledge and discovery. And they are searching for more meaning from their purchases. According to the 2017 China Cultural Industry Series Index, post-90s Chinese are the most willing to spend on culture. Digging into their culture and heritage has become a very popular way for China’s younger generation to explore their own identities. The country’s long and complex history offers discoveries that go well beyond state-sanctioned national pride. 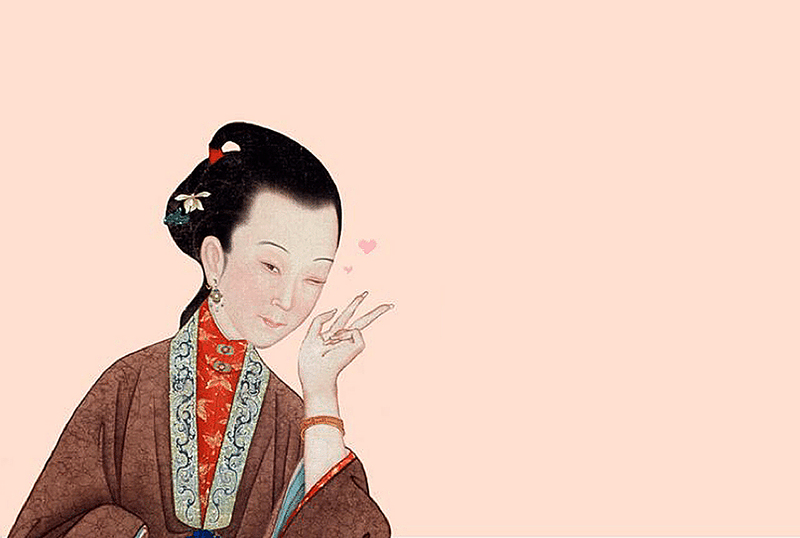 These younger generations are developing a profound interest in their country’s material historical culture, becoming experts in different periods, and forging emotional connections to their aesthetics.“Tang, Song, Yuan, Ming and Qing Dynasties, each have their own specific styles. 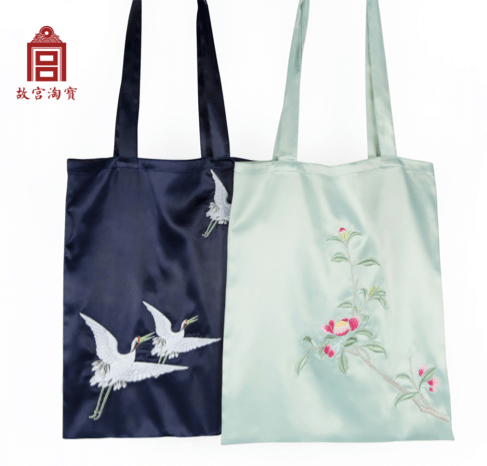 Instead of repeating superficial Chinese aesthetics, it’s better to go deeper in a specific period,” said Yu Yuzhou, a 24-year-old student, for example. “The bling bling, gold, red with green is actually the aesthetic of Manchu. The aesthetic of Han is simple and elegant,” said Sha Chenyu, 23-year-old student. This phenomenon is also supported by the fashion and beauty industries, who are adapting their products and communications by modernizing heritage in a way that appeases the censors but still intrigues this fast, ultra-connected and curious generation. 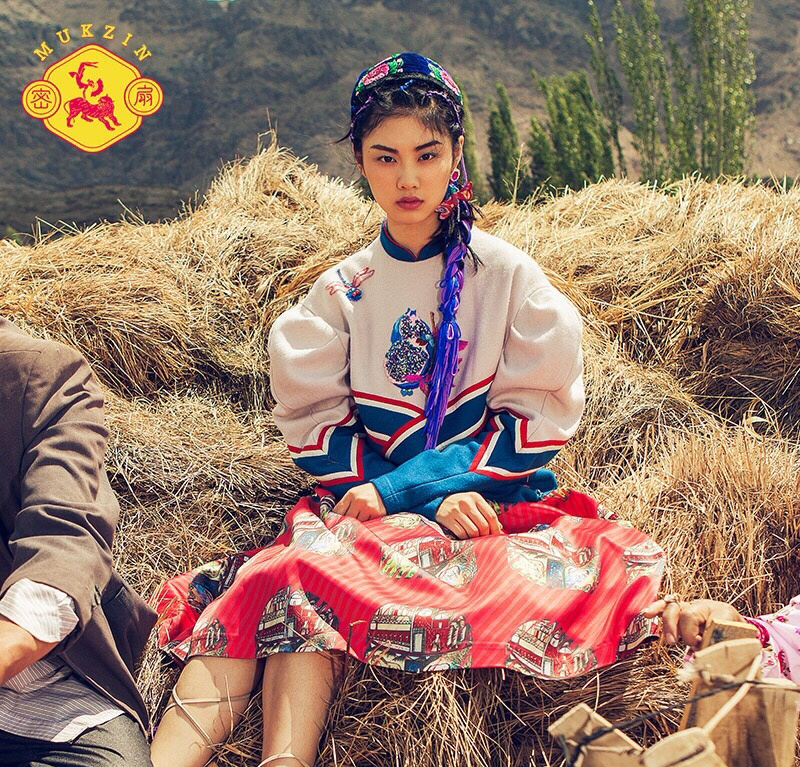 Here, we’ve selected five initiatives that illustrate how Chinese heritage is being adapted for Chinese millennials, and analyzed what international luxury brands can learn from the trend. The Forbidden City, with its 600-year history, recently went viral with Chinese millennials. 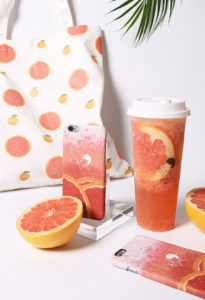 They developed a line of products adapted to the lives of young people based on studies of consumer’s demand. They managed to transform history into products like calendars and decorative tape. They also hired a young team using new digital tools and Millennial lexicon to communicate with them, helping the Forbidden City update its old-fashioned, out of touch image. The National Treasures (国家宝藏) TV show on CCTV-3 has been a surprise hit among the post-90s generation. Nine museums around China are invited to participate in the show, and each brings three significant artifacts from their collections. Spectators are invited to vote online for their favorite, which will be showcased in the final exhibition at the Forbidden City later this year. The production makes the story of the artifacts easy to understand by enlisting famous celebrities to play roles and narrate the pieces’ legendary histories. 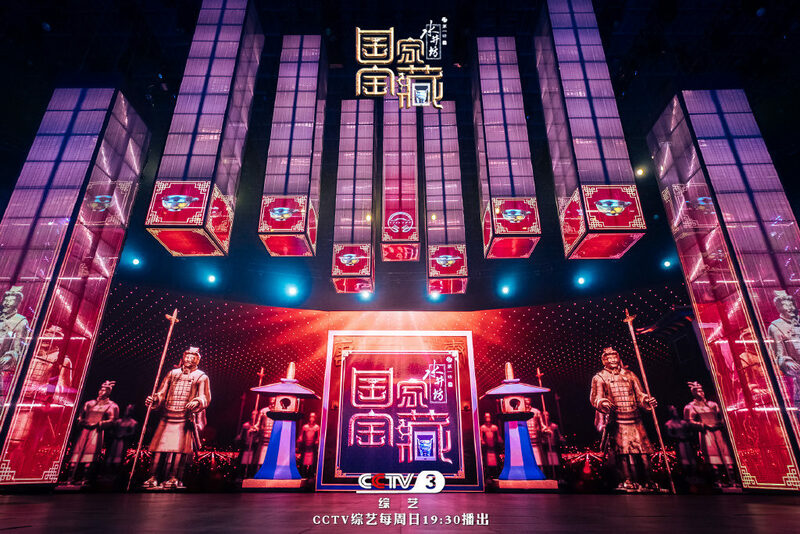 CCTV-3 also created an official account on Bilibili, a youth-dominated video platform, which allows young viewers to send comments flying across videos in a “bullet screen”. The content garnered a huge amount of attention, reaching 16.8 million views on the platform so far. 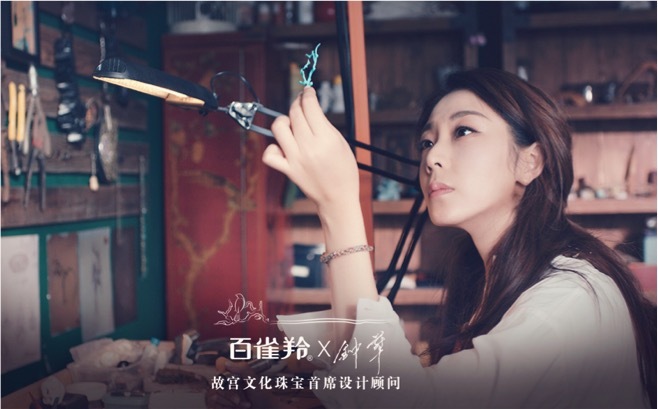 Pechoin introduced a limited gift set on Singles’ Day in 2017 that included an exclusive hairpin designed by Zhong Hua, a jewelry designer and consultant for the Forbidden City. They made a short video to present the entire production process, from inspiration through ancient imperial craftsmanship. It reconnects the notion of luxury with the brand’s roots. The gift sets sold out in 35 seconds. Mukzin is a Chinese style street fashion brand founded by two local designers who studied abroad. Their designs are inspired by the “Oriental Fever” trend, modernizing traditional Chinese aesthetics after finding mainstream fashion too Westernized. Mukzin is reviving China’s own diverse “savoir-faire” through various unique Chinese folk arts. Muzkin’s first couture series, Mukzin Traditional Handicraft (2016), adopted the intangible cultural heritage of Xinjiang province and its particular embroidery technique to create beautiful, unique pieces. Even the photo shoot was done with the help of local artists. Tea culture is part of China’s history, but the younger generation has gradually turned to coffee with the influence of Western culture and the near-spontaneous spread of Starbucks. But nowadays, it is very common to see millennials queuing for a cup of tea from Heytea, a must-go among Chinese Millennials. Heytea try to honor the tea leaf while adapting it to the younger generation in unique recipes, such as cheese tea and fresh fruit tea. Heytea has simplified the habit of drinking tea, making it more more casual than the traditional tea ceremony without eroding the quality, for instance by using tea powder instead of leaves. Its stores are comfortable, and customers are encouraged to take pictures and share them on their social media. Ancient aesthetics and history are attractive to this new generation, and even more so when brands embrace Millennials’ digital channels and cultural codes. Foreign luxury brands can take part in this trend in the following ways. That young Chinese have a thirst for their own heritage does not preclude them from being interested in other stories. A brand’s story may be precious and inspiring, but to reach Chinese millennials we should also dare to communicate these stories using new digital tools and distribution paths. A superficial cultural background will not only be unsuccessful but might also cause Millennials to mock you online. More precise knowledge that doesn’t condescend to Millennials but helps them explore Chinese culture further is far more welcome. Younger Chinese generations are only just begun to dig into their traditional culture, and they’re eager to discover more. Foreign luxury brands can support the ongoing cultural revival by financing cultural programs, developing specific products in partnership with local artisans, or by drawing on their own specific know-how. Cartier, for example, collaborated with Chinese artisans to restore antique timepieces from the Forbidden City’s Palace Museum. Juliette Duveau and Sophia Dumenil are the founders of The Chinese Pulse, a Paris-basedmarketing consultancy dedicated to helping fashion, beauty, luxury, and lifestyle brands with their China strategies.